One of our favorite things about partnering with Crawford is the ongoing relationship we’ve built that has extended into their two other companies—Resolute Racing and General Composites (GCi). Crawford and its sister companies develop, produce and employ the use of breakthrough aerospace-grade composite materials to bring these technologies into our everyday lives. 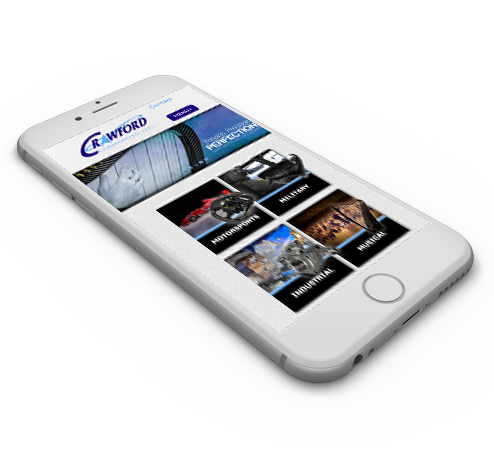 We collaborated with Crawford to design a new company website and subsequent brochure promoting the synergies between all three companies. Part of our challenge was taking the complex and revolutionary development of composites and translating them into layman’s terms—which is why we helped develop simple infographics explaining how Crawford’s composites are qualitatively different and why it matters in the construction of everything from musical instruments to military equipment.